“Indigenous Women, Memory, and Power: Igniting and Restoring an Oratorical Continuum Across Generations,” with Heather Howard, Pauline Shirt, and Krystine Abel, in Indigenous Women’s Histories, edited by Mary Jane McCallum and Susan Hill, University of Manitoba Press, forthcoming. “The Royal Proclamation and Colonial Hocus-Pocus,” Canada Watch (Fall 2013) Toronto: Robarts Centre for Canadian Studies, York University, also posted on Active History.ca website. “Remembering Wendat History in the Toronto Area,” Eonywa’ndiyonhratekwih Chia’Ekwaa’tatehkwih: Wendat et Wyandot d’hier et d’aujourd’hui/Wendat and Wyandot Then and Now, Proceedings of the first Wendat and Wyandot Studies Conference June 2012, eds. Louis-Jacques Dorais, Jonathan Lainey. (Wendake, Quebec: Editions Hannenorak, 2013), 125-147. 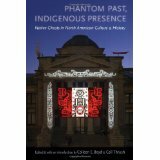 “Indigenous Hauntings in Settler Colonial Spaces: The Activism of Indigenous Ancestors in Toronto,” in Phantom Pasts, Indigenous Presence: Native Ghosts in American Culture and History, eds. Colleen Boyd and Coll Thrush, (Lincoln: University of Nebraska Press, 2011), 180-221. “Toronto Has No History! Indigeneity, Settler Colonialism and Historical Memory in Canada’s Largest City,” Urban History Review, 38, no.2 (Spring 2010), 21-35. “Attitudes toward Miscegenation in Canada, Australia, New Zealand, and the United States, 1860-1914” in Robin Jarvis Brownlie and Valerie Korinek, eds., Finding a Way to the Heart: Feminist Writings on Aboriginal and Women’s History in Canada (Winnipeg: University of Manitoba Press, 2012), 195-221 and Native Studies Review, 16, no. 1, 2005, 39-66. “Voices of the Parents: The Shoal Lake Anishinabe and Cecilia Jeffrey Indian Residential School 1902-1929,” Native Voices in Research , ed. Jill Oakes (Winnipeg: Native Studies Press, University of Manitoba, 2003), 71-81. “Not so distant relations,” Common-place , American Antiquarian Society, 3, no. 1 (Oct. 2002).